On Saturday night, Fairfax County Board of Supervisors Chairman Sharon Bulova and her husband Lou joined more than 130 other theater goers at the James Lee Community Center Theater to laugh and enjoy the Providence Players current production of the Tony Award winning Christopher Durang comedy Vanya and Sonia and Masha and Spike. Chairman Bulova, along with the entire Board, is a supporter of the arts in Fairfax County and enjoying a rare evening “off” to laugh at a great comedy is no surprise. But, what most audience members did not know was that she was also in attendance to see her Communications Director Lindsey Doane on stage. Lindsey is making her Providence Players debut in Vanya and Sonia and Masha and Spike as the character Nina. 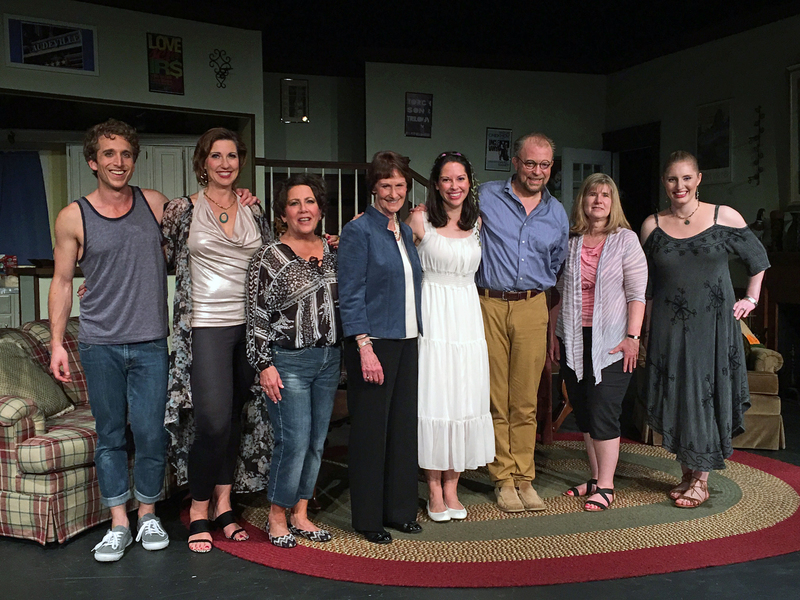 Chairman Bulova could be seen with a beaming smile and more than one hearty laugh as she watched Lindsey and the rest of the outstanding cast perform. The Providence Players is proud to perform at the James Lee Community Center, one of the many busy and diverse community centers operated by the County’s Department of Neighborhood and Community Services. PPF is also a member and grant recipient of the Arts Council of Fairfax County (funded in part by the County Board) and has been honored by the Fairfax County Board of Supervisors (sponsored by Supervisor Linda Smyth and then Chairman, now Congressman Gerry Connolly) for artistic excellence and community involvement. The Providence Players of Fairfax, is winding up its 19th season with Vanya and Sonia and Masha and Spike. The production runs through June 17 at the James Lee Community Center Theater at 2855 Annandale Road in Falls Church. Tickets are available for all remaining performances and the best seat selection is available through PPF’s no fee online ticketing link.